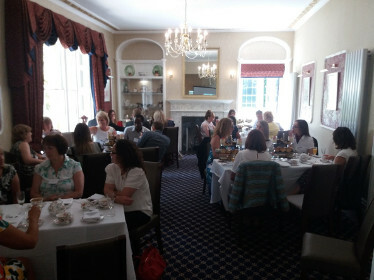 The other week we had our very first Swindon and Wiltshire Initiative support staff event involving a prosecco reception and afternoon tea at the stunning Chiseldon House Hotel near Coate Water Country Park. The event offered executive assistants, permsonal assistants and office staff from Initiative member organisations the opportunity to engage with their peers and network with other businesses around Swindon to share experiences and develop relationships. 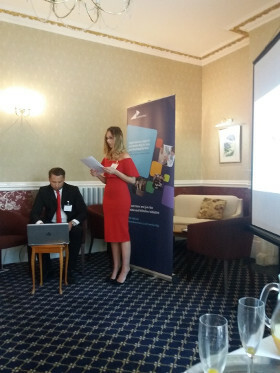 Businesses including Beard, Excalibur Communications, Knorr-Bremse, Swindon Borough Council, Hamilton Grace and HSBC were represented at the event, in addition to guest speaker Sophia Fey of Home Harmony Care – a pioneering domestic care business based in Wiltshire. Specialist in supporting the home and family lives of busy professionals, young entrepreneur Sophia gave an engaging presentation on how she developed her unique business idea and turned it into reality. Due to the success of the event, myself and the team are keen to engage more and more with our members’ support staff. Working closely with key decision makers in the town, our mission is to engage a broader cross-section of the business community, and I invite members of the Swindon and Wiltshire Inititiative to share their feedback. My hope is to host such events quarterly throughout the year and at some of Swindon’s best locations and showcase more fantastic businesses that can help support and compliment the great work of our members. For more information about this event, if you are a business that would like to host a future event or a business that would like to talk at an event, please contact Tina Doyle. Want to know more about the benefits of being an Inititiative member and who can join? Simply click the button below.